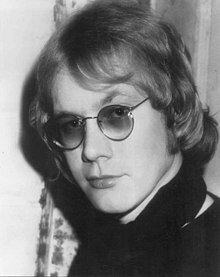 Warren William Zevon (24 January 1947 – 7 September 2003) was an American rock singer-songwriter and musician noted for including his sometimes sardonic opinions of life in his musical lyrics, composing songs that were sometimes humorous and often had political or historical themes. So much to do, there's plenty on the farm; I'll sleep when I'm dead. From what I know about alcoholism, I'd say there's nothing romantic, nothing grand, nothing heroic, nothing brave — nothing like that about drinking. It's a real coward's death. It just sort of happened. I wrote like what I'd always read and what was in the movies … I'm sure popular music is supposed to be like this. You know, you put more value on every minute … I mean, I always thought I kind of did that. I really always enjoyed myself. But it's more valuable now. You're reminded to enjoy every sandwich, and every minute of playing with the guys, and being with the kids and everything. Sickness, doctors, that scares me, not violence — helplessness. That's why I turn to violent stories. All songs written by Warren Zevon, except as noted. These young girls won't let me be. I predict this motel will be standing until I pay my bill. Don't the sun look angry through the trees? Don't the trees look like crucified thieves? Don't you feel like Desperados under the eaves? Heaven help the one who leaves. Except in dreams, you're never really free. 'Til he evens up the score. In the muzzle flash of Roland's Thompson gun. He's the hairy-handed gent, who ran amok in Kent. Lately he's been overheard in Mayfair. You better stay away from him. He'll rip your lungs out, Jim. Doing the werewolves of London. 'Cause I'd rather feel bad than not feel anything at all. And do my job — whatever. Everybody's at war these days. But the name of the game is be hit and hit back. "The Long Arm of the Law"
I'm greedy and I'm angry and I don't care who I cross. I can saw a woman in two. "For My Next Trick I'll Need A Volunteer"
This page was last edited on 8 September 2018, at 11:13.